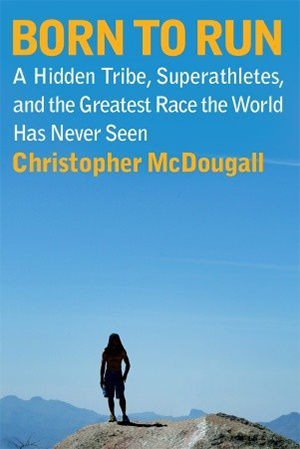 Born to Run, written by Christopher McDougall, is a story of the Tarahumara (a reclusive Mexican tribe who may hold the secrets of being an ultimate ultra runner); tales of the nation’s most elite ultramarathoners; the race they ran to see who was the best of the best; and the human spirit. We chose this book because of the underlying themes about how far people are willing to push themselves and what the driving force behind that determination is. We focused one part of our discussion on McDougall’s quote, “You don’t have to be fast. But you’d better be fearless” (2009, 61), and whether the notion of being either fast or fearless was the correct comparison. We viewed the concept of long-distance running in terms of self-awareness, and more specifically in the form of noticing resistance to running or learning to run. People tend to view long distance/ultra running as something that people don’t strive for (because who really wants to run 50-100 miles? ), and that felt like it rang true for the runners profiled in this book. Most of them just set out to run as a way to find a sense of peace or to get away from life for a bit; the race entries seemed to come as an afterthought, as though none of them really set out to brand themselves as “ultra runners.” In our line of work, we go into a lot of projects with a general idea of what the end result should be, but not a lot of direction on how to get there. So we push forward, knowing that we’ll get where we need to be in the end, even if it takes the whole process to figure out exactly how we’re going to do it. We also discussed the importance of personal responsibility in running, and that much of success may be due to self-motivation. This then sparked that question, “Does external motivation really have a place in running?” Sure, it’s nice to have people cheering you on while you run, but at the end of the day, only you can make the choice to finish the race or not. One of the biggest takeaways for us was the generally excellent sportsmanship of the profiled runners. McDougall often described runners who were smiling while in the middle of a race or who were encouraging fellow racers to keep going when they were struggling. This brought us to the quote, “It’s not about the destination; it’s about the journey” (Emerson), which felt like the actual point behind this book. Though it is important to finish what you start and to finish it well, it is often just as important to maintain integrity throughout. McDougall, Christopher. Born to Run: A Hidden Tribe, Superathletes, and the Greatest Race the World Has Never Seen. Vintage, 2011.